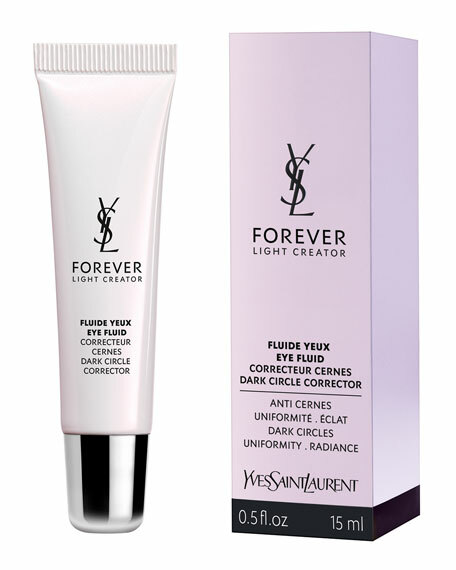 An innovative lightweight blur moisturizer that primes and refreshes makeup. The light, smooth formula glides over skin, hydrating and blurring imperfections to give the complexion an even, soft focused glow. 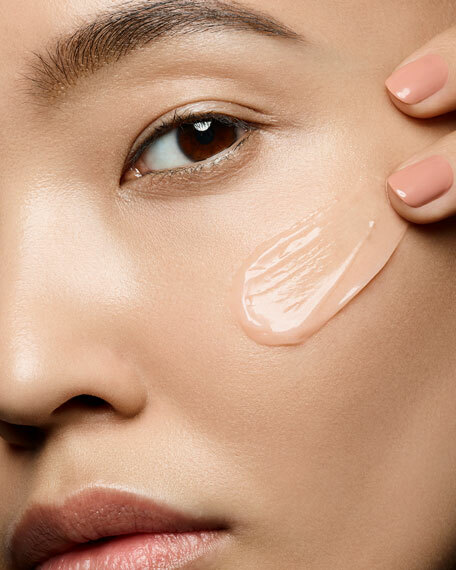 Worn alone, skin appears perfected and naturally luminous; follow with foundation for flawless makeup that lasts. Instant Moisture Glow can also be reapplied throughout the day and make makeup look freshly applied. 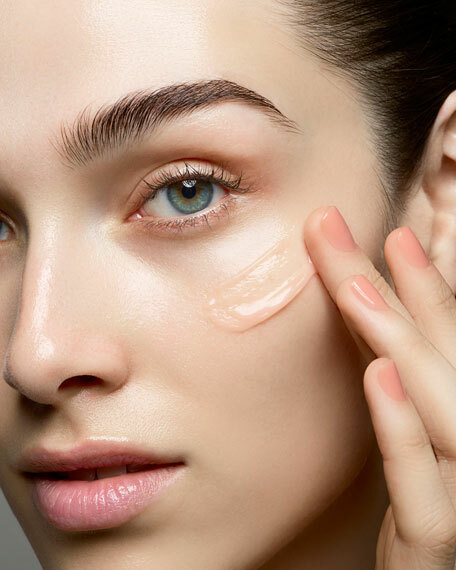 Before makeup application, apply all over face with fingers or foundation brush. Throughout the day, use fingers to tap on cheeks, chin, and forehead to set and refresh makeup.